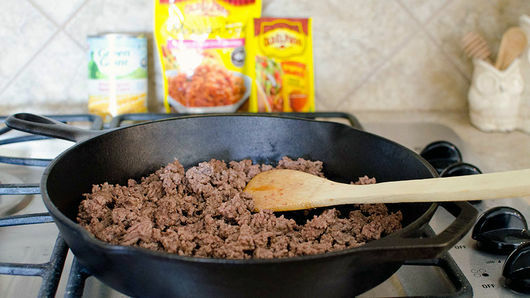 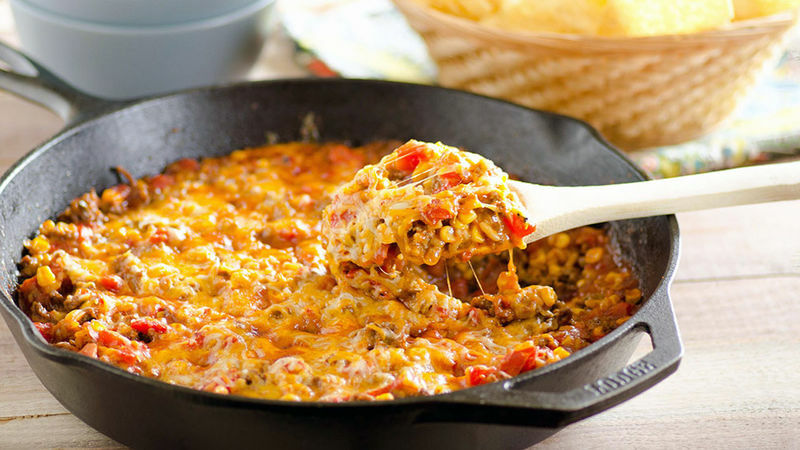 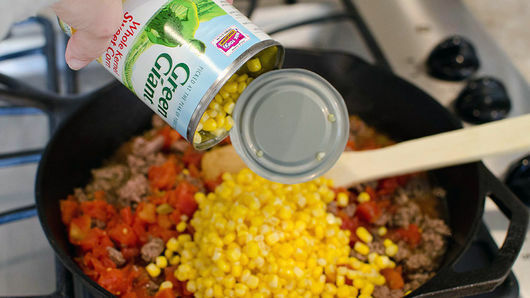 To skillet with cooked beef, add 2 cans (10 oz each) diced tomatoes with green chiles, 1 can (15.25 oz) whole kernel sweet corn, 1 package (1 oz) Old El Paso™ taco seasoning mix, 1 roasted red bell pepper (from a jar), chopped, and 1/2 cup water; mix well. 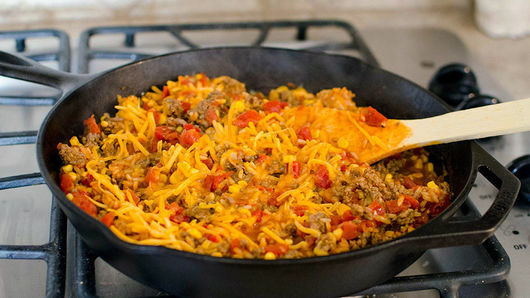 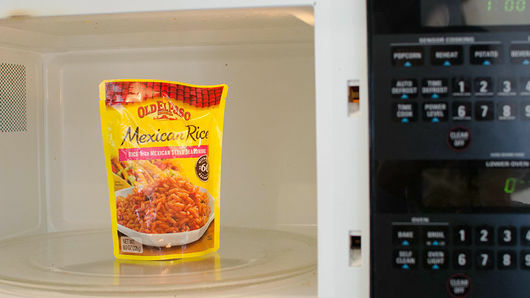 You can control the spice (heat) and tone it down a notch by using the “Mild” taco seasoning mix and tomatoes with chiles. 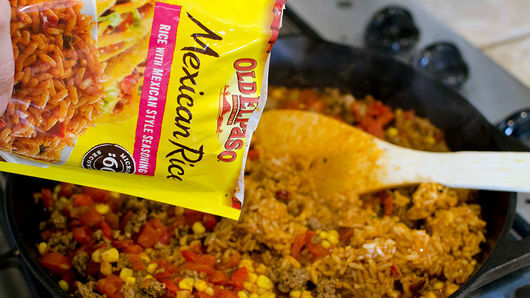 Skip a spoon and use chips to scoop up instead!